Chief Executive Carrie Lam Cheng Yuet-ngor said the government will "seriously consider" diverting tourists to Kai Tak Cruise Terminal from To Kwa Wan, where a large number of travelers has disrupted the daily lives of residents. Lam's comments come amid strong opposition from Hung Hom residents towards the Travel Industry Council's proposal to divert cruise ships touring Victoria Harbour from Kowloon City Ferry Pier to Hung Hom Ferry Pier. Although the proposal was suspended due to widespread criticism, lawmakers bombarded Lam in the question-and-answer session at the Legislative Council yesterday over the failure of reducing the number of tourists in To Kwa Wan. It has become increasingly popular for tourists traveling in group tours to have lunch or buy souvenirs in To Kwa Wan after disembarking from cruises touring Victoria Harbour. However, residents complained about the influx affecting their lives. Lawmaker Priscilla Leung Mei-fun said the council's proposal will do nothing to aid the situation as it will just "spread the bomb to other communities." She said the Kowloon City District Council has proposed diverting tourists to the Kai Tak Cruise Terminal. But, as this proposal will require several million Hong Kong dollars to be spent on renovating the terminal into a suitable pier, Leung questioned whether the government's hesitance stems from the lack of clarity over whether it should be the government, or the terminal's managing company who pay the fee. In response, Lam told Leung a solution "is not that simple." "If the problem could be solved merely by spending just a few million dollars, I would have promised you that now," she said. She said the government understands the pressure brought to these communities by the growing number of tourists, and said she will discuss this suggestion with Secretary for Commerce and Economic Development Edward Yau Tang-wah. 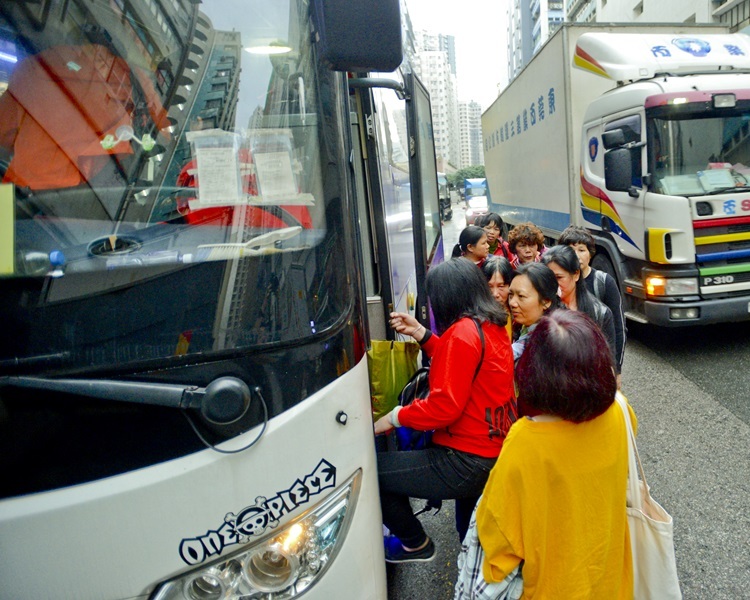 Lawmaker Helena Wong Pik-wan also said the Travel Industry Council did not consult Hung Hom residents before announcing a proposal that would lead to a sudden surge of 5,000 to 6,000 visitors at the Hung Hom Ferry Pier. She also questioned if the strategy to divert the huge number of tourists to other districts will eventually turn them into "disaster zones," given 65 million people visited Hong Kong last year. Lam admitted the council could have done a better job with its public consultation, but said diverting tourists is merely a short-term solution. She added that diversion works as it reduced the disruption caused to residents in Tung Chung after the opening of the Hong Kong-Zhuhai-Macao Bridge.